Lexus LC Review 2019 | What Car? Fed up with fighting against German premium car makers Audi, BMW and Mercedes-Benz, Lexus bosses decided that they would throw away the rulebook and do everything they could to get noticed – hence the stunningly futuristic exterior styling of the LC. 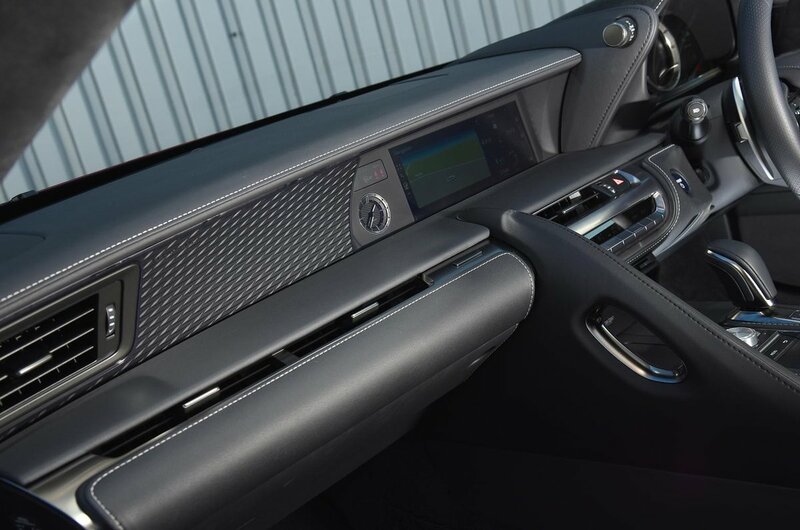 This is a luxury coupé with a sufficient smattering of performance drama and driver involvement to hold the interest of a maturing sports car enthusiast, but it's a grand tourer first and foremost. The LC therefore has the capability to carry a couple of occupants and their baggage in generous comfort over a long distance – or four people over a much shorter one. Rivals range from the Porsche 911 and Mercedes SL to top-end versions of the BMW 6 Series . Buyers can choose from two engine types. The LC 500 is powered by a whopping great old-school naturally aspirated 467bhp V8 unit with a 10-speed gearbox. 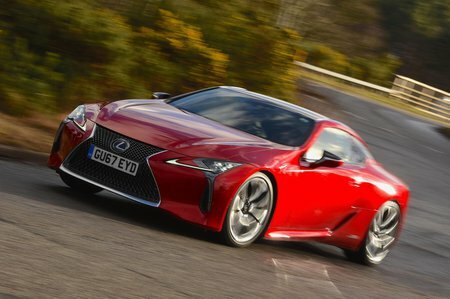 The more refined and efficient alternative is the LC 500h, a hybrid model that links a 295bhp 3.5-litre V6 petrol engine to an electric motor to deliver a total power output of 354bhp. There are three trim levels: standard, Sport and Sport+, with each step dialling up the characteristics of the car in the way the names suggest. Read on over the next few pages to find out how the LC compares with its rivals and which version we’d choose. If you've already decided it's the car for you, check out our new car deals by clicking here.